The votes for the 2016 National Academy of Medicine (NAM) Council election have been tabulated, and the following individuals have been elected to serve three-year terms on the NAM Council effective July 1, 2017, through June 30, 2020. Albert Reece, M.D., Ph.D., M.B.A. The NAM would like to extend its deepest gratitude to the following Council members, whose terms end in June 2017, for their commitment and dedication to advancing the work and membership of the former Institute of Medicine and now the National Academy of Medicine. 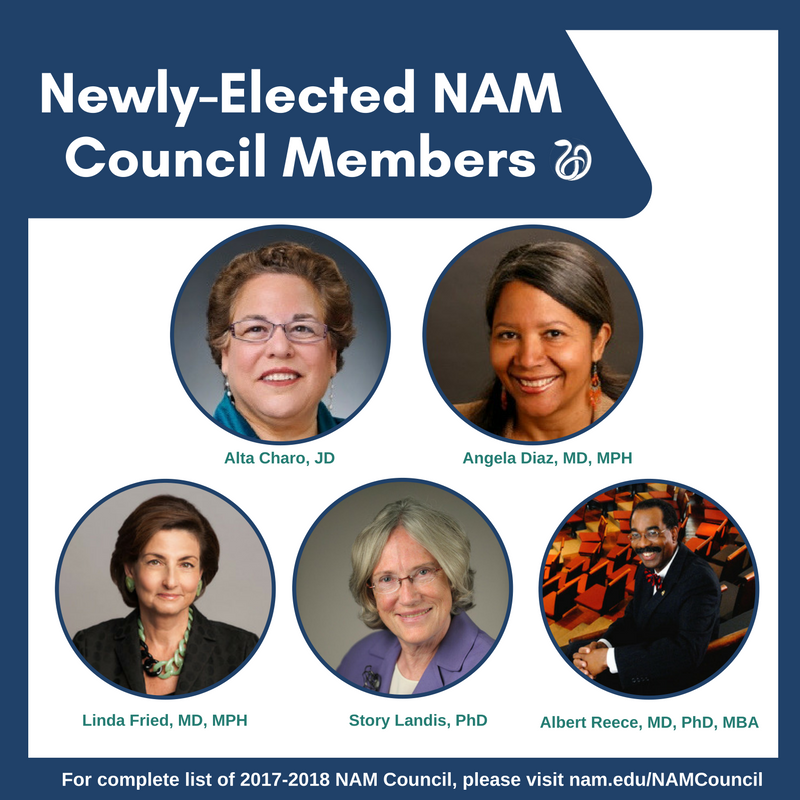 Click here to view the complete composition of the 2017-2018 NAM Council.